FORT MYERS, Fla. — Add matchmaker to Donald Trump’s list of successful endeavors. Trump introduced model/actress Lindsay Clubine to Red Sox pitcher Clay Buchholz. “It was 2008 in Anaheim,” Buchholz recalled. “It was Sean Casey, myself, probably like eight or nine guys, and we went to a UFC fight after one game and then we went to the after party. “It was ‘Affliction: Banned’ fighting, and [Trump] owned the whole circuit. My wife knew him prior, from ‘Deal or No Deal’ when he came on the show as a celebrity banker. The 31-year-old righthander has an unenviable run of six consecutive years with a stint on the disabled list. Buchholz and Clubine eventually were married, on Nov. 14, 2009, at Trump National Golf Club in Palos Verdes, Calif. They have two children. Buchholz has become a big supporter of Trump’s presidential campaign. “Every time we’re in New York, we walk over to Trump in 200Tower and see him if he’s around,” he said. 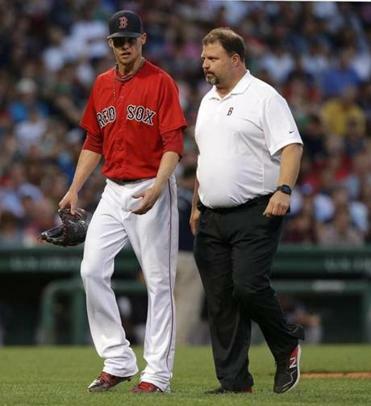 “He says what a lot of people think and don’t say,” Buchholz said. “I like that part of him. “I’m not really into politics, but I’m watching a lot more now. He’s been awesome to me. He says what’s on his mind, which is why he’s accomplished so much in his life. “I always found him to be a good-hearted person. He’s a lot of fun, but he’s obviously one of the smartest businessmen in the world, given what he’s been able to accomplish. 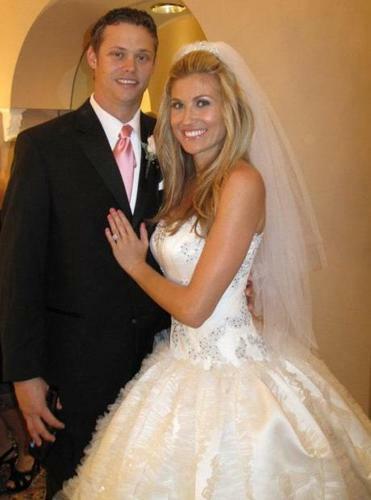 Clay Buchholz and Lindsay Clubine at their 2009 wedding at Trump National Golf Club in California. As for Trump the matchmaker, he hit this one right on the money. Casey, who played in 69 games for the Red Sox in 2008, his only season with the team, recalled how smitten Buchholz and Clubine were with each other that night. “I know she came to the game the next night,” said Casey, now an analyst for MLB Network. “That was a great night. “They were talking a long time. You could easily see there was something between them, and then the next year they got married. We were all there to watch it. Casey is reminded of that night every time he sees Trump on TV. Buchholz isn’t the only Boston athlete Trump has befriended. Trump and Tom Brady seem to have a mutual affection. While Brady has stopped short of an endorsement of Trump for president, the candidate said during the Iowa caucuses, “I’m a friend of Tom Brady, very good friend, and he was so nice to me. “He said, ‘Trump is the greatest winner.’ When you get that, and then all of a sudden in Massachusetts . . . we got poll numbers that were 52 percent. Now I guess we’ll see the Clay Buchholz effect. Buchholz certainly doesn’t have the cachet of Brady, but he isn’t insignificant, either. While his career has been plagued with injuries, he has the chance to be Boston’s No. 2 starter this season behind David Price. Buchholz said he came to camp about 10 pounds heavier, since he tends to lose weight as the season progresses. He spent the offseason working out with former teammate John Lackey. What he may need is a little of Trump’s bravado. 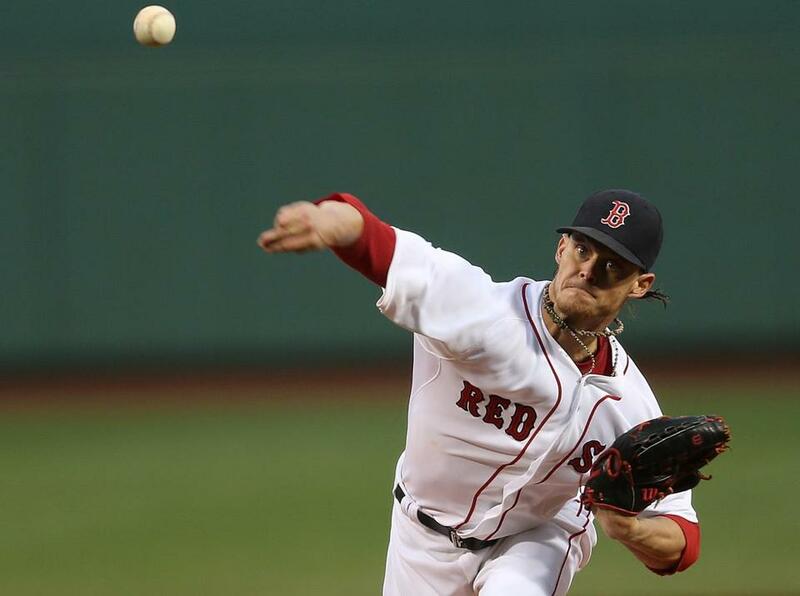 While Trump’s campaign slogan is, “Make America great again,” if Buchholz finally puts together a complete successful season, he could help make the Red Sox great again.